The book focuses on the experience of six North Atlantic, cold-water islands boasting distinct constitutional arragements. 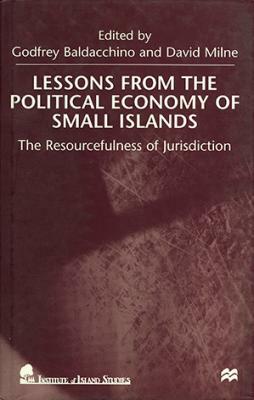 These range from full sovereignty (Iceland) to federation (Prince Edward Island; Newfoundland and Labrador), to federacy or home rule status (Faroe Islands; Isle of Man; Aland Islands) It explorse how different constitutional, political and cultural features of these islands are deployed in strategic economic thinking and planning, leading these jurisdictions to craft a real "political economy"
The comparative interplay of economic and juridical resources is taken up in relation to four major economic domains: the primary sector; small-scale manufacturing, export of knowledge based services and tourism. In the outcome, practical "best practice" proposals are suggested. The bookshows the 'gift of jurisdiction' as a strategy enabler, with law and public policy serving as the fuel for development in a decentralizing globalized world offering loopholes or a special arrangements to exploit.